Earn a new cardmember bonus of $150 after you spend $500 in net purchases on your card within the first 90 days of account opening. If you're a business owner looking for a cash rewards card, the U.S. Bank Business Edge™ Cash Rewards World Elite™ MasterCard®U.S. Bank Business Edge™ Cash Rewards World Elite™ MasterCard® offers some hefty rewards to put back into your business, just for making everyday purchases for your business. Plus, it also comes with an annual bonus. Cardholders receive 3 percent cash back on cellular, gas and office supply store purchases and 1 percent cash back on all others. Plus, you'll receive a 25 percent annual bonus based on your previous year's Cash Rewards up to $250. There's also no limit to the rewards you can earn and they never expire. Rewards can be redeemed by a deposit into your bank account, as a statement credit or as a U.S. Bank MasterCard Rewards Card. The U.S. Bank Business Edge™ Cash Rewards World Elite™ MasterCard®U.S. Bank Business Edge™ Cash Rewards World Elite™ MasterCard® comes with a 0 percent introductory APR on purchases for your first nine billing cycles, making it a solid choice if you're just getting your business off the ground and need to bankroll some start-up costs ahead of revenue coming in. You can also get free cards for your employees that you can easily manage. With the card's small business payment controls, business owners can easily customize each employee's business credit card to control where, when and how they use them. 24/7 cardmember services with dedicated small business specialists. Access to business management tools, including scoreboard to track business spending annually, quarterly, monthly or on a year-to-date basis and FlexControl™, which allows you to choose a payment date that best fits your cash flow. Save on paying interest on everyday purchases with the card's Essentials program or pay down your balance faster with its Accelerator feature. Receive text message or email alerts regarding balances, payments and more. Everyday business needs including cellular, gas and office supplies can earn you 3 percent cash back for you business. Unlike with many cash rewards cards, there's no spending cap at which point your rewards earning rate is reduced. U.S. Bank offers a 25 percent annual rewards bonus, up to $250, based on your cash back earned from the prior year. The bonus cash-back categories of cellular, gas and office supply store purchases aren't ideal for every business. Make sure those are the kind of purchases you actually make before deciding to go with this card. You can earn high rewards with this card with its 3 percent cash back on cellular, gas and office supply store purchases and 1 percent cash back on all other purchases. Plus, the rewards program is simple and easy to earn and redeem, no rotating categories or specialized channels for which to use those rewards, which never expire. All this and no annual fee to eat into your rewards make this an attractive card. And, right now new cardholders can earn a $200 cash back bonus after spending $1,000 on their card within the 90 days of account opening. Cards can be obtained for your employees at no additional fee, allowing you to track employee spending and continue to earn rewards to put money back into your business. Since rewards can only be redeemed for paper check, statement credit or rewards gift card, you won't be tempted to use them on items or services that your business doesn't really need. That 25 percent annual rewards bonus is also a nice feature. Consider this: You've earned $1,000 in cash back throughout the year. Then, at the end of the year, U.S. Bank kicks in an extra $250. You're going to have to buy things for your business -- you might as well be rewarded for those purchases. If you travel abroad for business you won't want to have this card with you as its foreign transaction fees are 2-3 percent. Additionally, if you do travel for business, your rewards won't be a lot of help with the U.S. Bank Business Edge™ Cash Rewards World Elite™ MasterCard®U.S. Bank Business Edge™ Cash Rewards World Elite™ MasterCard®, since there are no specific travel reward redemption options. Furthermore, if you do a lot of your office supply purchasing via websites like Amazon, you won't reap the full rewards of this card, since the bonus cash back is available at office supply stores specifically, not just on office supplies purchased anywhere. 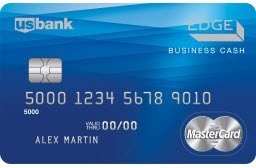 While the Business Green Rewards Card from American Express is a charge card that needs to be paid in full at the end of each month, it does offer travel rewards missing from the U.S. Bank Business Edge™ Cash Rewards World Elite™ MasterCard® (American Express is a CardRatings advertiser). Keep in mind though, the American Express rewards are points that can be used toward purchases and travel, not a true cash-back option. Business Green Rewards Card from American Express cardholders earn one point for each dollar spent on qualifying purchases and two points for each dollar spent when booking travel on the American Express Travel website. The Business Green Rewards Card from American Express waives its annual fee the first year, but it's a hefty $95 going forward. (See Rates and Fees.) But the American Express card offers a welcome bonus allowing new cardholders to earn 5,000 Membership Rewards® points after making their first qualifying purchase in the first year of card membership. There's no annual fee with the U.S. Bank Business Edge™ Cash Rewards World Elite™ MasterCard®, compared with the $39 annual fee of the Capital One® QuicksilverOne® Cash Rewards Credit Card. Still, the Capital One® QuicksilverOne® Cash Rewards Credit Card offers a simple earning structure that features a flat 1.5 percent cash back on all your purchases, compared to U.S. Bank Business Edge™ Cash Rewards World Elite™ MasterCard® cardholders who earn 3 percent cash back on cellular, gas and office supply store purchases and 1 percent cash back on all other purchases. If you know your business spends disproportionately on cellular, gas and office supply store purchases, you'll likely earn more rewards with the U.S. Bank Business Edge™ Cash Rewards World Elite™ MasterCard®. But if you spend a lot in other categories, the flat 1.5 percent cash back with the Capital One® QuicksilverOne® Cash Rewards Credit Card could net you top rewards. Remember to consider the 25 percent annual bonus offered by the U.S. Bank Business Edge™ Cash Rewards World Elite™ MasterCard® when you're making your decision. 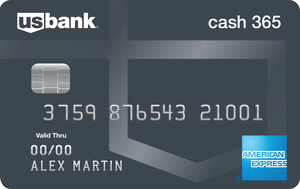 The Ink Business Cash℠ Credit Card is another annual-fee-free business card, but this one offers a tiered rewards structure that could add up to some serious cash back if you use your card in the related categories. Each anniversary year, you'll earn 5 percent back on your purchases at office supply stores and on cellular phone, landline, internet and cable TV services up to $25,000 spent (1 percent after that); 2 percent back on your purchases at gas stations and restaurants up to $25,000 spent (1 percent after that); and 1 percent back on all your other purchases. Additionally, Ink Business Cash℠ Credit Card offers an intro 0 percent APR on purchases for 12 months (then, 15.49% - 21.49% Variable), as compared to the nine billing cycles for purchases offered by the U.S. Bank Business Edge™ Cash Rewards World Elite™ MasterCard®. 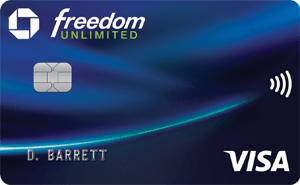 This is a great card for a business owner looking for a cash rewards card with no annual fee, no cap on your rewards that never expire, and the ability to earn cash to put back into your business. The annual bonus is a nice touch, but if you use the U.S. Bank Business Edge™ Cash Rewards World Elite™ MasterCard®U.S. Bank Business Edge™ Cash Rewards World Elite™ MasterCard® for travel abroad, you'll find that the foreign transaction fees will quickly eat into your rewards. To see the rates and fees for the Business Green Rewards Card from American Express, please visit the following link: See Rates and Fees.